Our quartzite, based on swedish silica of the highest purity, has uniform resistance, thermal stability and low transformation due to its special microcrystalline structure, which gives it optimum performance. deguisa also supplies all types of mica in rolls or plates. Deguisa manufactures various precast shapes such as spouts, burners, outer rings and bottom blocks manufactured in our facilities of Amurrio. Our materials are highly reliable, giving stability in their performance. Quick and easy, and safety thanks to the drying of coils in our facilities. 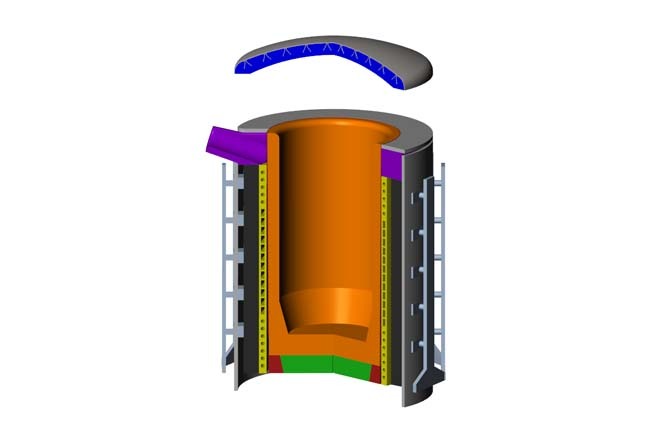 Do you need more information about Non ferrous induction furnace refractory or about other products or services? Send us your details and we will contact you.